Since the very beginning of development, I’ve been doing my best to make sure that translating Industrial Petting into as many languages as needed is as easy as possible. All the UI is designed with different character counts and font sizes in mind. No english terms are baked into textures. Every piece of text in all the databases and UI is already going through a translation system in the backend. But that’s only the technical side. Today I seriously thought about the logistics and human part of organizing translations. 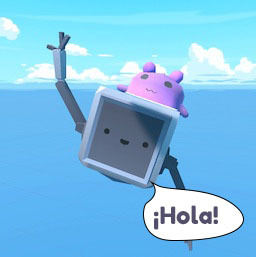 Industrial Petting is an early access game and translations are going to need to be constantly added throughout development. I looked at doing community-based translations using the steam workshop: languages that people are interested in having in-game will be represented, there won’t be any arbiter of which translations are worthwhile, and eager players will be actively helping development, along with the recognition of that. Underserved languages are available for popular crowdsourced games, such as Thai, Viatnamese, and Danish in Oxygen Not Included. It can be hard to justify these from a business standpoint, but players who want these languages love having the option. However, crowdsourced solutions are often inconsistent, with two people working on different parts of the same game. Person A chooses to name things one way, and Person B chooses another path. It’s also morally questionable to try and use the goodwill of the community just to lessen the costs of a very important part of the game. Translating is difficult work. Find the right wording for a phrase, and make sure it fits the same tone as the source material. Keep that wording consistent throughout the entire project. In games it’s even harder, due to all the arbitrary UI constraints and sizing issues that are in play. Industrial Petting also has made-up words and animals to name. Any particular translator has to decide whether to keep the english term, use a somewhat localized homophonic translation, or rename it entirely to fit the culture. So, today has been spent poring over other game’s decisions, and poking around their solutions and pitfalls. The current plan for Industrial Petting is to have an approach that should be the best of both worlds. I’m going to be doing an open translation project, with some paid translators doing the initial set of work in a few languages. After launch, strings added in updates will be added by the community, with the occasional pass of editors going through and making sure the translations make sense. Anybody can ask to join the project and add new languages that I haven’t done the setup for. Any new font switches will need to be done manually by me, so I’ll make sure to have that working for any new languages added. Anybody who’d like to tell me a better way to do this, feel free to join the discord.